Home Uncategories 5 type of roles Sanaya could make her much-awaited comeback on television with. 5 type of roles Sanaya could make her much-awaited comeback on television with. Who would have thought that a young and petite damsel who made her television debut with would go on to rule television for the longest time and be an important part of iconic shows like Miley Jab Hum Tum, Iss Pyaar Ko Kya Naam Doon And Rangrasiya among others. Today, the beautiful actress completes 34 years of age and it only seems a number for the actress, as she looks more beautiful than ever. There is one thing which the fans have been waiting for a long time now when it comes to the actress and that is her long-awaited comeback to fiction television. Jaa and Nach Baiye 8, her acting chops are truly missed. So, I decided to list down those 5 type of roles Sanaya could make her much-awaited comeback on television with. 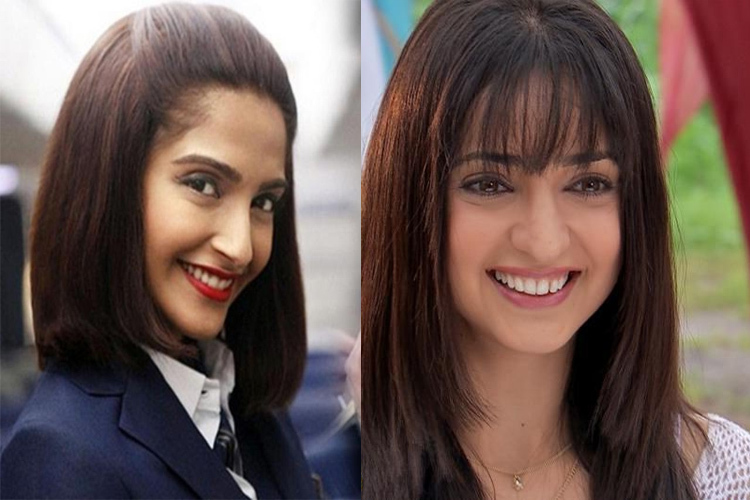 The idea of having a finite series has been on the rise on television recently and while we have seen different shades of the actress already, it would certainly be amazing to see Sanaya in a finite biopic series which can be as powerful as the character of Neerja. Having the beauty and innocence along with the acting s****s, Sanaya could surely ace the role. Even though Rangrasiya wasn't a stupendous success for Colors, Sanaya was spotted in a character like never before. And when it comes to an iconic film like Devdas, we have certainly seen a truckload of adaptations of the saga in films, but rarely a good one on television. Watching Sanaya play the complex yet easy character of Paro in a TV show can certainly be an absolute treat for the fans. While, I agree that watching Sanaya in characters like that of above may be amazing, what would be even more exciting is witnessing the actress in a fierce avatar. We have never seen the actress portray a fierce and powering character and playing an undercover detective like that of Vidya Bagschi (Vidya Balan) in Kahaani would be a refreshing treat. Thanks to actresses like Vidya Balan, Rani Mukherji and Kangana Ranaut, women-centric films are certainly on the rise. And while Queen went on to become a cult, the character of Rani is absolutely tailor made for the personality like that of Sanaya. From playing docile to a romantic and finally independent, Sanaya can ace such a character and the best part is with a plot-line like that of Queen, the daily soap can be a long-running one too. I along with many were as surprised as anyone when Sanaya showcased her s****s of playing a horror-oriented character in one of her performances in Nach Baliye 8. And with that now known to us, we could totally see her in the character like that of Kareena Kapoor in Talaash. Considering the trend of horror would never really leave Indian television, an intellectually executed character with the premise of a mystery would be intriguing and make Sanaya add another feather to her cap. What do you have to say about these characters? Leave in your comments below..
On this amazing occasion, we wish Sanaya a very Happy Birthday!